Orchha is a slumber yet intriguing town of Bundelkhand in Madhya Pradesh that can be best explored at an unhurried pace. We suggest that you hire a bicycle and take a ride alongside its quiet and steep roads within the woods or countryside. Or if you are in no mood to ride a bicycle, request a car drive at your hotel and idle by the Betwa River on Kanchan Ghat which is only 10-min walk from the main town. Watching the sun dropping behind the 14 chattris of the Bundelas that stand proudly alongside the river is an experience beyond mesmerizing. These multi-level chhatris, open from 10.00 am to 05.00 pm, are built on high, square platforms, that you can climb to the top of via a narrow, roughly hewn staircase and enjoy a breathtaking view of the surroundings. These cenotaphs are larger than Rajput chhatris, and in spite of minimalistic detailed carvings or decorative flourishes, they attract the beholders for their massive structure. Even after spending hours in the city of cenotaphs – Orchha you would realize that Orchha is the land of enigma—a kind of unpredictable land caught between legendary fictions and unbelievable facts. 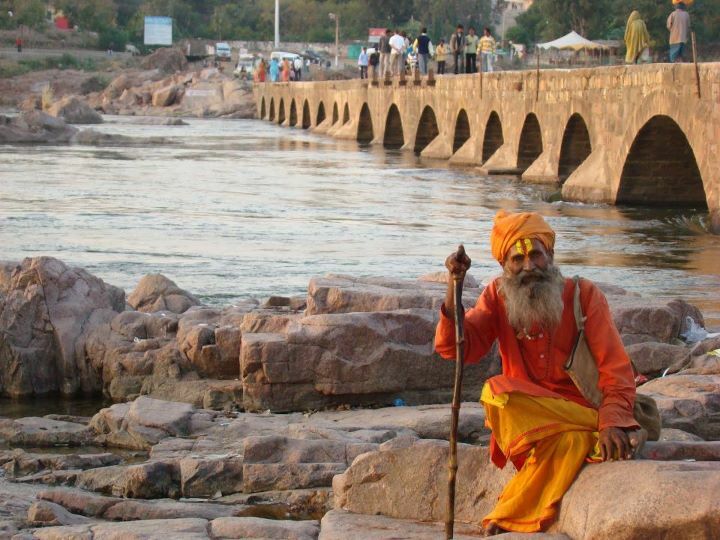 Here, on the boulder-strewn banks of the Betwa, the wildlife of Madhya Pradesh is fascinating, and the Gods come down to meet their devouts every evening. If you are planning to visit the Bundelkhand region in the coming weekend then here’s a good news for you and an update to redesign your itinerary. As you know that the monsoon season is over and almost all the Wildlife reserves and National Parks are open for tourism for the season, the Orchha Wildlife Sanctuary is also ready to welcome tourists and nature lovers from across the world. Though one may not enjoy the pleasure of spotting tigers and leopards, yet one can find many interesting fauna like spotted deer, Blue Bull, Peacock, Wild pig, Monkey, Jackal, Nilgai, Sloth Bear and many such species. Watching these animals within their natural habitats is a great experience within itself. Cherry on the cake is the brimming Betwa River flowing gorgeously around the forest adds to the beauty of this nature retreat. The winter season up to the summers, the sanctuary is at its best with around 200 species of domestic as well as migratory birds. 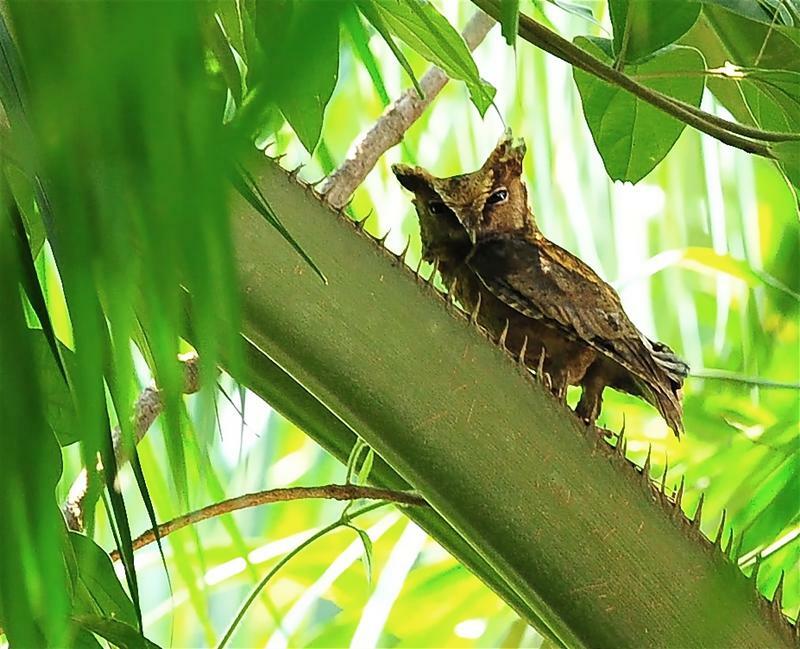 Yes, the jungle doesn’t even disappoint the bird lovers. So, plan to visit the beautiful town of bundelkhand for its beautiful wildlife sanctuary and its incredible habitats from amidst the luxuries of Amar Mahal. Orchha is a hidden town in Bundelkhand region of Madhya Pradesh. On the lines of its popular suffix ‘Hidden’, Orchha has many hidden treasures to explore and admire. 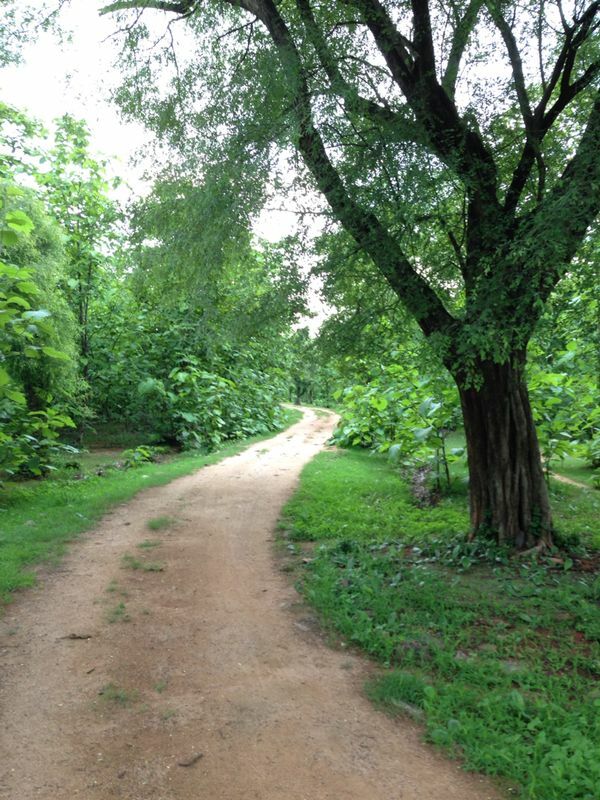 Nature Trails is something that no guide book of Orchha has ever mention about the town. Across the banks of River Betwa lies this treasure hunt of natural habitats. The river can be crossed through a low bridge built on it, which you can walk on almost as you walk out of the town. The river crossing experience in itself is an adventurous and delighting walk in the beautiful and splendid town of Orchha. 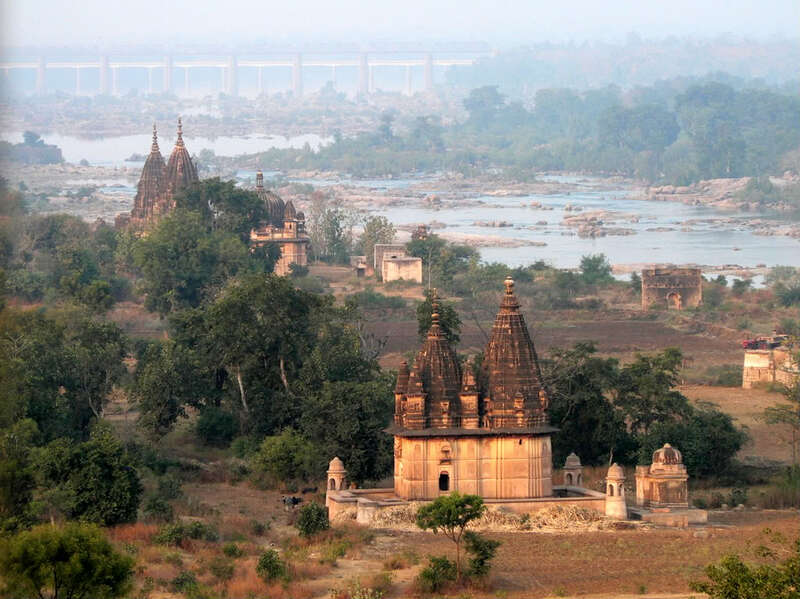 As soon you’ll cross the River Betwa, you’ll be transported in to the nature reserve of Orchha. There are various small trails that can take you across the lush jungle, through Orchha nature reserve. . Though it can’t be referred as a reserve, yet the Orchha Wildlife Sanctuary resembles a natural jungle scene which borders the Madhya Pradesh from Uttar Pradesh. The Orchha Wildlife Sanctuary appeals tourist for its solitude and natural forest ambiance. Apart from Dhawa and Kardhai Trees, few other plants which contribute to the thick plantations of Orchha Wildlife Sanctuary include Teak, Palaash and Khair. With Bird Watching as the main expedition, Orchha Wildlife reserve also offers adventure sports including fishing, river rafting, canoeing, boating, etc. Established in the year 1994, Orchha Wildlife Sanctuary lies within huge forest which is home to few of the dense plantations of Dhawa Trees and Kardhai Trees (Anogeissus Spp). 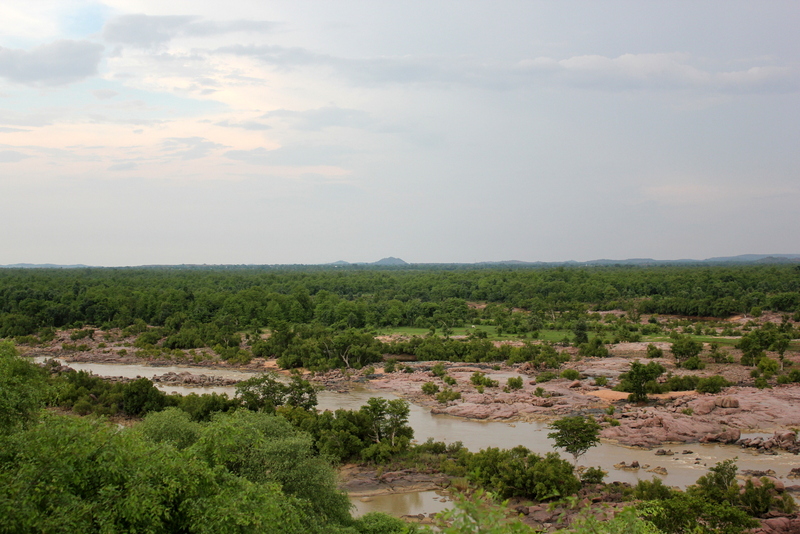 Other than the Betwa River, Jamni River too flows along the Orchha Wildlife Sanctuary. Though it can’t be referred as a reserve, yet the Orchha Wildlife Sanctuary resembles a natural jungle environ which borders the Madhya Pradesh from Uttar Pradesh. The Orchha Wildlife Sanctuary appeals tourist for its solitude and natural forest ambiance. Though one may not enjoy the pleasure of spotting tigers and leopards, yet one can find many interesting fauna like spotted deer, Blue Bull, Peacock, Wild pig, Monkey, Jackal, Nilgai, Sloth Bear and many such species. Watching these animals within their natural habitats is a great experience within itself. 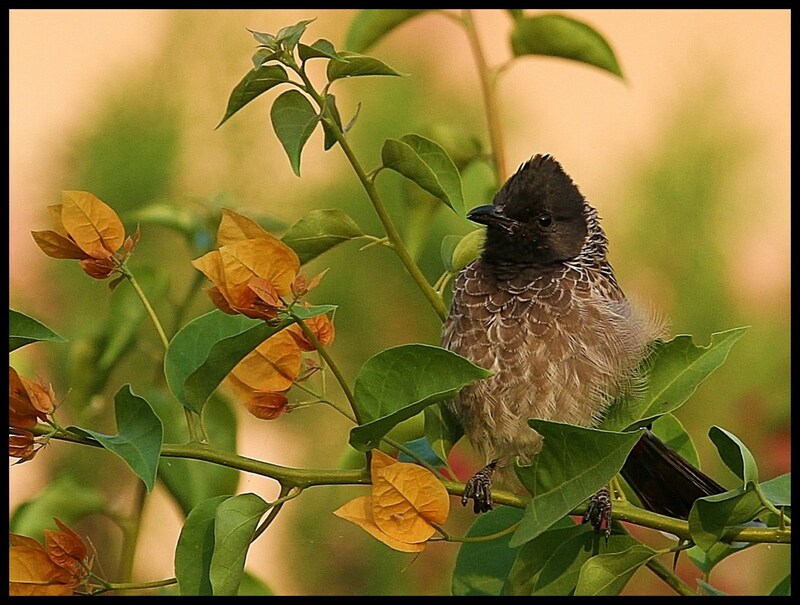 But what appeals more than anything is the Bird watching experience one gets to enjoy in Orchha Wildlife Sanctuary. In fact Orchha Wildlife Sanctuary is often referred as a Bird Sanctuary by main foreign and Indian tourists. Around 200 bird species can be found at Orchha Wildlife Sanctuary near the river ecosystem, which includes many in-house birds and various migrants from all over the World like peafowls, peacocks, swans, black swan, Jungle Bush Quail, minivet, stork, kingfisher, owls, woodpecker, geese, collared scops owls and many more. 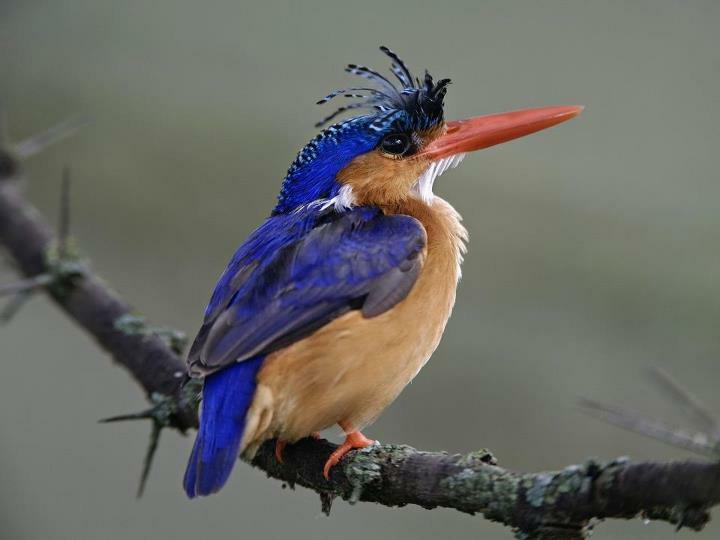 Around 200 bird species can be found at Orchha Wildlife Sanctuary near the river ecosystem, which includes many in-house birds and various migrants from all over the World like peafowl, peacocks, white swan, black swan, Jungle Bush Quail, minivet, stork, kingfisher, owls, collared scops owls and many more. Apart from Bird Watching, Orchha Wildlife Sanctuary also offers many other adventure sport options including fishing, river rafting, canoeing, boating, trekking, camping and jungle trekking and hiking opportunities. The best time to visit Orchha Wildlife Sanctuary is from November to June. During the winter season up to the summers, the sanctuary is at its best. Visit during monsoons however is not recommended, as animals usually go for hideouts due to heavy rains. TheBetwaRiver may also get flooded due to heavy rains following to which the sanctuary may also close down temporarily. Visit the beautiful town of bundelkhand for its beautiful wildlife sanctuary and its incredible habitats from amidst the luxuries of Amar Mahal. Among the mogul ruins of the ancient Indian town of Orchha, are the huge Raja and Jahangir Mahals, the Chaturbhuj Temple and a collection of impressive chhatris (cenotaphs) on the banks of the River Betwa. 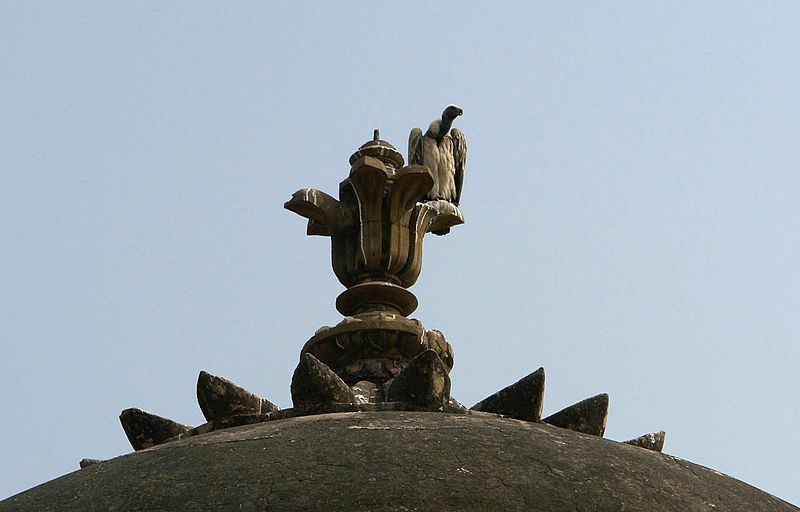 Atop the rooftops of these decaying buildings roost a colony of Indian Vultures. They are huge birds, but we didn’t notice them at first as they blend into the baroque ornament of the spires and parapets. However when they spread their wings and take to the air, they cast shadows on the ground, and looking up… well, they are magnificent. When they alight again, they look so much a part of the roofline – medieval gargoyles, stern against the sky. 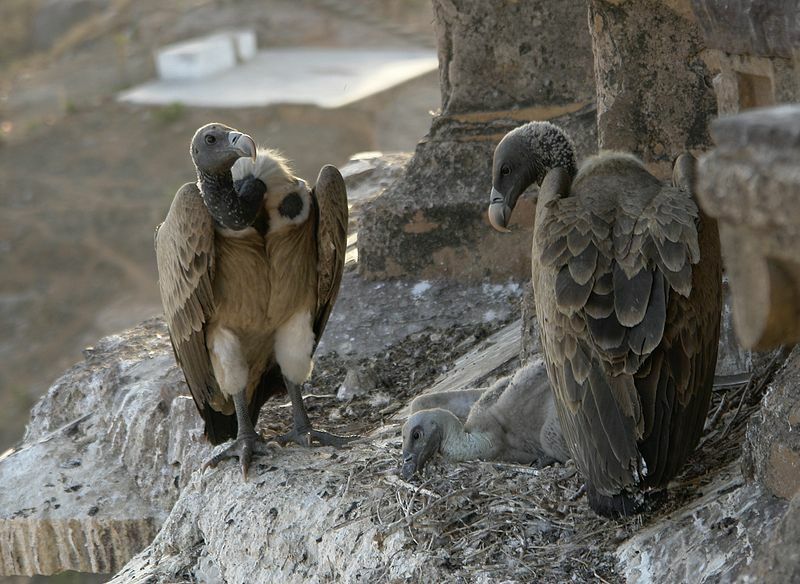 Sadly, Indian Vultures have suffered huge population declines – around 98% – in recent years, due to the widespread use of a cattle drug which persists in carcasses and causes kidney failure in vultures. The Govt has banned the drug as of 2010, but it is still being used and it will take a while before it is replaced. And many more years before populations of this long-lived bird may recover. 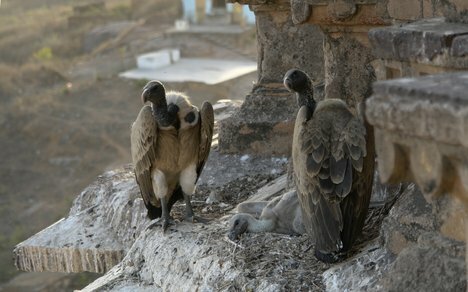 In the first-ever vulture census recently in Orchha Sanctuary, Madhya Pradesh, 125 vultures of four species and their nests have been found. As per the census report, total 14 vultures have been found in Sinauniya area of Orchha Sanctuary including one Indian, 11 White Backed, 2 Egyptian vultures and one nest. 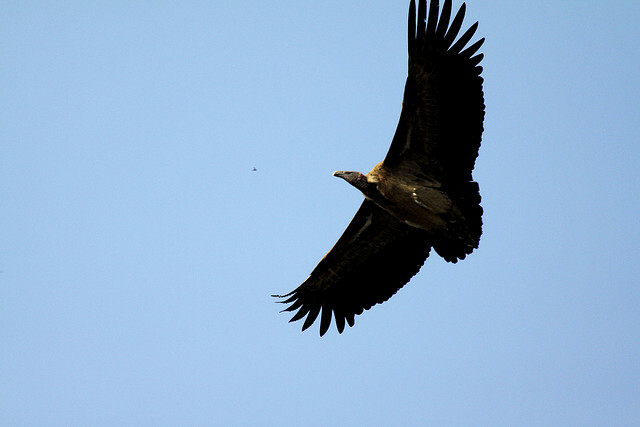 As many as 25 vultures have been detected in Chhatri Samooh area including 3 Egyptian and 14 nests of Indian vultures. 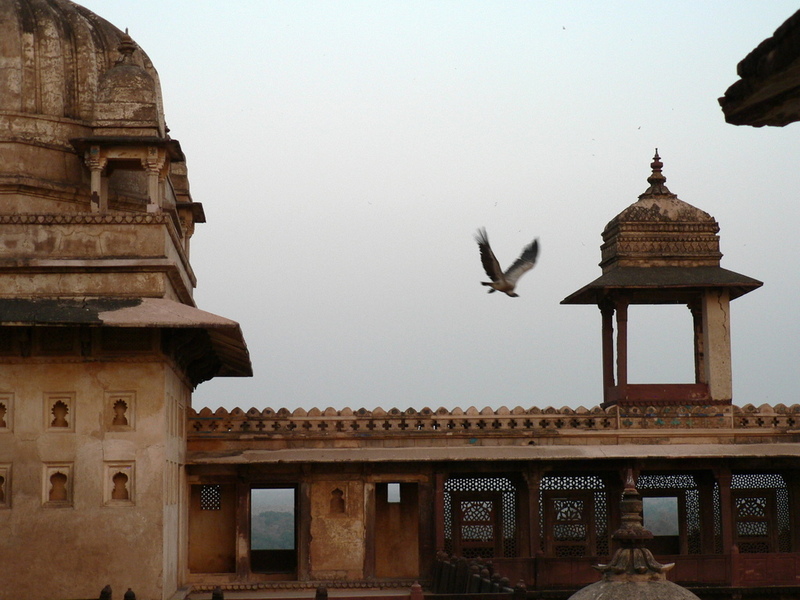 This could be the perfect time for you to sight these rare species in the quaint town of cenotaphs and palaces: Orchha! !